When a police officer says "Put your hands behind you," that is the one thing you should do. It is amazing how quickly people forget that rule, especially when they're scared, intoxicated or simply because they're adrenalin is spiking. During an arrest all you should do is exactly what you're told. Nothing more. There are plenty of things not to do, as they can all help build a case against you, even if you're being wrongfully arrested and you know it. 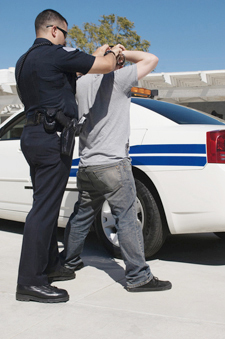 Here are six things to never do while being arrested. If you find yourself in a situation where you may end up being arrested, or further more, where someone who happens to be near you, is getting arrested, don't take off. Running is a surefire way to end up in cuffs, even if you have not done anything wrong. Once you've been arrested you have a right to remain silent. Use it. It's amazing how quickly people will start to babble about the trouble they are in, unknowingly admitting to various crimes. If an officer asks you if they can search your home or car or elsewhere it likely means that they believe they don't have the right or your consent, meaning they'd have to get a warrant. Loudly and repetitively state "You do not have my permission to search." If they continue to search, any evidence from that search could be excluded from your trial. Do not under any circumstances admit your guilt to anything, no matter what the officers tell you. There are plenty of manipulative ways police can try and get you to say something you shouldn't, including blatant lies. If an officer asks you to step outside your home it is likely because they don't have a warrant to come inside and arrest you. Stay in your home and call a lawyer. If you're being arrested don't accept offers from the police to go back in your home to change, lock up or anything else. The police will have to accompany you and will be able to search your home while inside. There's a lot of things that you shouldn't do when being arrested but there is one thing to do after being arrested, post bail. To learn more about the arresting process or to get a bail bond in Kelseyville, Lake County or throughout the region contact Rob Brown Bail Bonds at (707) 587-4563. We're available 24 hours a day to post bail in California.